This is the ultimate reference for yoga practitioners, instructors and enthusiasts alike! The best-selling anatomy guide for yoga is now updated, expanded and better than ever! With more asanas, vinyasas, full-colour anatomical illustrations and in-depth information, the second edition of "Yoga Anatomy" provides you with a deeper understanding of the structures and principles underlying each movement and of yoga itself. From breathing to inversions to standing poses, see how specific muscles respond to the movements of the joints; how alterations of a pose can enhance or reduce effectiveness and how the spine, breathing and body position are all fundamentally linked. 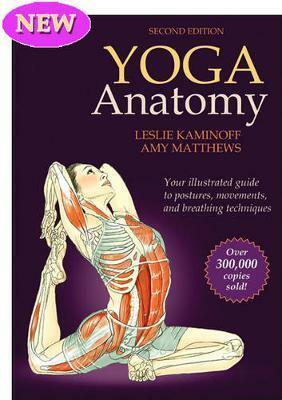 With "Yoga Anatomy", authors Leslie Kaminoff and Amy Matthews both internationally recognised experts and teachers in anatomy, breathing and bodywork, have created the ultimate reference for yoga practitioners, instructors and enthusiasts alike.